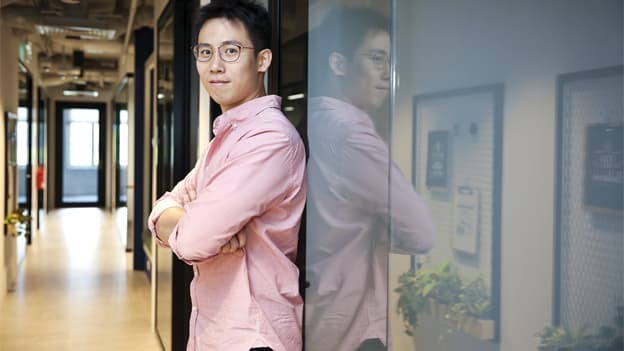 UpGrad’s Head of South East Asia, Weisheng Neo, in an uncontrived conversation with People Matters talks about the evolution of online learning in the region, and the compelling challenges in learning that needs to be addressed. Weisheng Neo leads the expansion of UpGrad’s operations in South-East Asia and holds extensive experience in the education and technology sector. Weisheng holds an MBA from the University of Pennsylvania- Wharton School and a Bachelor’s Degree from Singapore Management University. UpGrad is an online higher education platform providing rigorous industry-relevant programs designed and delivered in collaboration with world-class faculty and industry, and merges the latest technology, pedagogy, and services, while creating immersive learning experiences. In an age where there is a widening capability gap and future readiness cannot be predicted beyond the immediate future, how do you think companies can strategize their learning roadmaps? There are two things here that companies need to consider — Mindset and Method. For mindset, the company has to create a learning culture. This seems straightforward and obvious, but learning can take a backseat if the culture is not conducive to upskilling for employees. In high-performance-driven cultures, companies often overlook training for the next phase of growth, exposing inadequacies in the organization when the next phase hits. One great way to create a learning culture is to have leaders who lead by example as leaders are the most visible people in an organization and their actions inspire employees. Second is ‘method’ or the mode of learning which is a crucial element. If you are upgrading the skills of technicians to handle complex equipment, then you want to look at hands-on, in-person training. If you are looking at upskilling designers (who sit across geographies) to the newest software, you can think about online, synchronous learning. Technology has given us tools that overcome constraints in learning, but how and when we use them is critical. In your experience, what have been the key challenges in organizations operating in the South East Asian region when it comes to adopting online learning? For online learning to be adopted on a wide scale, some inherent problems/myths have to be resolved. And one of the key barriers is language. Online learning is made with scalability in mind, and most platforms are currently only in English which inevitably alienates the non-English speakers. There is also the belief that in-person learning is better and that engagement is higher in a classroom than on an online platform. That is not necessarily true as there are tools in online learning to track engagement and interactivity levels which can be very sophisticated. I believe that online learning is where e-commerce was 10-15 years ago. When e-commerce came to the fore, most were skeptical of buying online (I can’t try it, can’t feel it, and there’s no recourse if the product is defective). But today, e-commerce is ubiquitous because the industry has managed to solve most of the longstanding problems. There’s a lot of emphasis on providing tools for self-study in today’s workplace. But how can organizations support employees when employees do not prefer self-study techniques? First of all, self-study seldom works. That is the reason why schools exist even though all the knowledge you need is probably available in the public library. A big part of why education institutions exist is because instruction is critical in gaining knowledge. And be it online or in-person learning, instructional design is critical to achieving desired outcomes. Organizations can support employees by choosing providers that provide great instructional experience. In classroom learning, you want to make sure the instructor is able to keep participants engaged. In online learning, you want to make sure that the instructional design element is strong, and that there is a support staff at the backend looking after the needs of the students. For example, if students are not logging onto the platform, the system administrator should be able to pick this up and assign a counsellor to get in touch with the student. With technology, learning is becoming more personal, and not less. What is the impact of technologies like AI on learning? With AI, on top of eliminating variability in experience, you now get a shot at drastically improving the experience. In the learning space, one key challenge is how to maximize interaction and engagement. When learners are engaged, outcomes improve. We build in tools to collect all kinds of data on engagement. For example, we will track data such as scroll speed, video play, pause, questions answered correctly on first try, log off points etc. Using data, we can tell where our curriculum is lacking in engagement if there is a sudden spike in logout rate at a specific point. We also know our learners’ profiles, and that was how we found out that older learners tend to be more engaged, but also take longer to ponder on questions. Additionally, it is theoretically possible to track learners’ eye movements, pupil dilation etc., all of which is information to the administrator on whether the content is engaging. Of course, this is a little intrusive so we don’t have this in place, but it is worth considering for monitoring younger learners. In classroom learning, the learner’s experience is dependent solely on the instructor. If you get a dynamic, engaging instructor, even the most mundane topic can be interesting. In online learning, you eliminate this variability. How can organizations choose the right learning products for their employees considering the plethora of learning products in the market? Every organization tries to optimize for something different, whether duration, engagement levels, content, or price etc. We built UpGrad to optimize for what we believe are the most critical issues faced by HR and L&D professionals. But there are three elements that organizations need to consider. The first is ‘Time’ (or the lack thereof) – Working professionals are a busy lot and taking time off to attend training programs often becomes a chore. That is part of the reason why the market has (too) many short 1 to 2 days courses. Although such courses are great, but they don’t impart the actual knowledge. Thus you need to choose a course that teaches enough skills so that the learner knows enough to self-correct. I find that courses lasting a few months in duration are ideal for most learning outcomes. The second is ‘engagement’ – Choose a course that engages. In-person and online learning have their merits, depending on the situation. And the third is the mode of training – If you are training high level, C-suite folks, it makes sense to get them in a room. For example, you might be training the Chief Technology Officers from around the globe in your organization. This training is best conducted in-person. However, if you are training the many engineers working under the CTOs, online learning is probably more viable. As a side note, companies tend to send finance folks for finance training, marketing folks for marketing training, and sales folks for sales training. Training happens almost exclusively in their own domains. In today’s world, it might be a good idea to send staff for training outside of their domains. The cross-index and cross-pollination of knowledge could turn up great results.